AIHI offers a unique program of multidisciplinary research training encompassing information, communication, cognitive and organisational science to support health service and biomedical innovation. You can choose from undergraduate projects or postgraduate programs and scholarships are available. Scholarships are available for particular courses. Study projects are available under the PACE program. 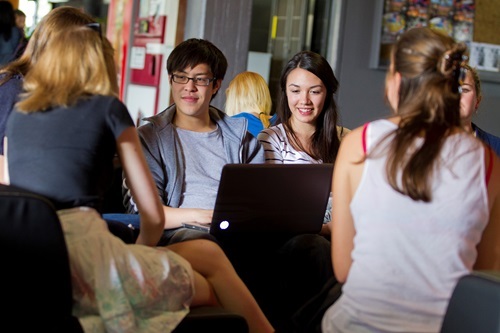 Find out more about Macquarie University programs. If you have any further questions, please contact the HDR and Administrative Officer by email aihi.hdr@mq.edu.au or by phone +612 9850 2239. The Fellowship Program is designed to increase leadership capability in the health informatics workforce as well as create career pathways for health informatics research doctorate students. As part of the Fellowship Program students will be required to complete two paid work placements with a government agency, NGO, or industry partner. The Australasian College of Health Informatics (ACHI), with support from the Centre for Health Informatics, Australian Institute of Health Innovation, Macquarie University established the Australasian College of Health Informatics Fellowship Program in 2017. Choose from our specialist areas of research within each of the Centres. Cross cutting global themes: Patient safety; Improvement studies; Multi-disciplinary teamwork; Behaviour change.